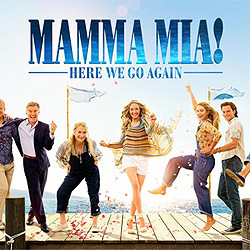 Creative and financial success is The Name Of The Game in the movie business, and Swedish Supergroup ABBA delivers once again (with an assist from Meryl Streep) under the guidance of writer/director Ol Parker in Mamma Mia: Here We Go Again. Parker, along with moderator Michael Clarkson will have a fresh and informative take on this magical film which is still in cinemas. You are guaranteed to leave this session with a brain full of knowledge and a heart full of music. The feedback has transformed my writing. I’d absolutely recommend the scritpt clinic to anyone who knows their script could be better.